I didn't get a lot of adult reading done, but I did read through Fifo "50 States" by Hayley Rose. It's a geography book for kids. I'll be reviewing that one tomorrow for the blog tour. And I finished The Story of King Arthur and His Knights by Howard Pyle, which I had been reading with my son. I also read the first Club Penguin book, Stowaway! Adventures at Sea , which I picked up for my son. I was curious about it since I love read-your-own-adventure types of books when I was a kid. It was fun reliving my youth with that one! I also shared a few books my kids have been reading in my What My Children Are Reading post. I'm still reading Zero Day by Mark Russinovich. It's an engaging thriller but I just didn't have a lot of time to read last week. I also started My Stroke of Insight by Jill Bolte Taylor, but haven't gotten very far with it yet. I may pick up Serena by Ron Rash next, but I haven't decided for sure yet. Sounds like some exciting reads you've been reading lately. I haven't heard of most of them, but they look really good. 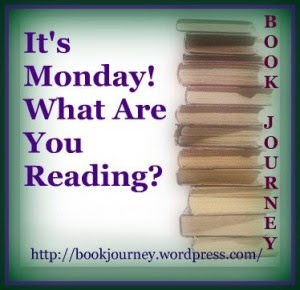 I love that you have a "What my children are reading" series - such a wonderful idea! Productive week... I love those :) Enjoy your books Julie! Last week I accomplished three book reviews. This week, in addition to my reading for the bookclub, I am hosting a book giveaway! It's my first so I really hope it's a success! Please come by and enter! I'm curious about My Stroke of Insight...hope you enjoy all of your books.